As time passes, floors age. To protect them from wear and damage and make them more durable, people use wax. It leaves the floors nice and shiny. But, in time, even that wax starts to age and will need replacing. Experts recommend re-waxing floors at least once a year. Not everyone adheres to these recommendations. One can expect that there might be a lot of things to fix, redo or change after buying a new property. One of the jobs no one likes, is removing old wax from the floors. Some will tell you it’s an impossible task. There is a way though. And it will involve using the best wood floor wax remover. With so many different removers on the market, how do you choose? There is always the popular homemade solution – the vinegar method. Still, most people will use professional methods. 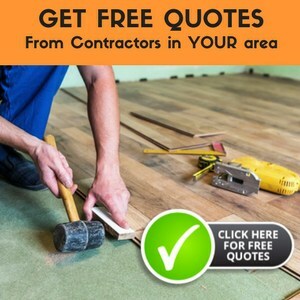 One way is to ask a flooring contractor for a recommendation. The other one is going to a paint store and asking an employee about wax removers. Finally, there are reviews you can find by browsing the internet. This will be one such review. The three floor wax removers we are going to examine will give us the best wood floor wax remover. You will have enough information to make your own decision. Like it says on the label, Trewax wax remover is a heavy-duty floor stripper. Is it the best wood floor wax remover though? This remover is made from very potent chemicals, so keep out of reach of children and pets. Getting some on your skin can cause a burn. Be careful when applying it. Instructions say to pour it on the wax area, wipe up with a clean cloth and rinse it with a mop. Don’t forget to wear protective gloves. It might be important to point out that the use of power washers is not recommended inside your home and on wooden floors. It would do no good, especially with heavy wax build-up which needs to be scrubbed off with steel wool. Because this is a heavy-duty stripper, it can work on almost all surfaces which makes it one of the best wood floor wax removers. For larger areas, you will need a lot of the remover. A gallon will cover around 800 sq. ft. Any wooden floor you plan to use this wax remover on, needs to be sealed. The remover is water based and can get in between any cracks, holes etc. One needs to be careful when using this wax remover. It has been described as an industrial strength remover. It’s heavily concentrated. With a 32-oz. container, you can mix 16 gallons of remover. It’s important to follow instructions to get the most out of this high-power wax remover. While using the above reviewed remover required scrubbing, this one does not. One simply pours the liquid on the waxed floor and then rinses it off with a mop. There have been questions about its use. The guidelines say that it’s not supposed to be used on wood. Feel free to contact Lundmark Customer Service department. They will quickly dispense with your worries and confirm that the remover is safe to use on wood. Such issues and doubts shouldn’t come into the picture with the best wood floor wax remover, and we are looking for the very best one available. 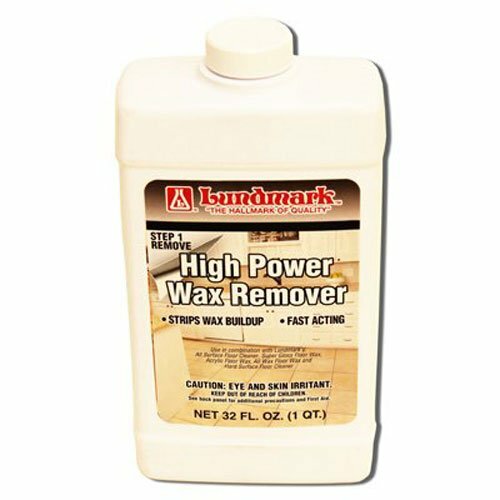 This wax remover was manufactured for projects like restoring wood furniture, interior doors, beams and bannisters, without harming the material under the coat of wax. It worked so well that people have started to use it on wooden floors. And quite rightly so. It even shows potential to be the best wood floor wax remover out there. The bottle contains around 17 oz. of liquid. This is good from removing wax from an area of up to 130 sq. ft. The best way to use it is to apply steel wool over the area which needs wax removal. Go with the grain where possible. It only takes but a couple of minutes for the remover to work. All you need to do then is grab a cotton cloth and wipe the old wax away. After the treatment, give it another 24h for the floor to become dry enough before you apply another finish. Other recommendations are to wear heavy duty gloves as the product can be harmful. It’s irritating to the eyes. Finally, the remover is flammable, so be careful. Also, because of the heavy odor, windows need to be open or the area ventilated. 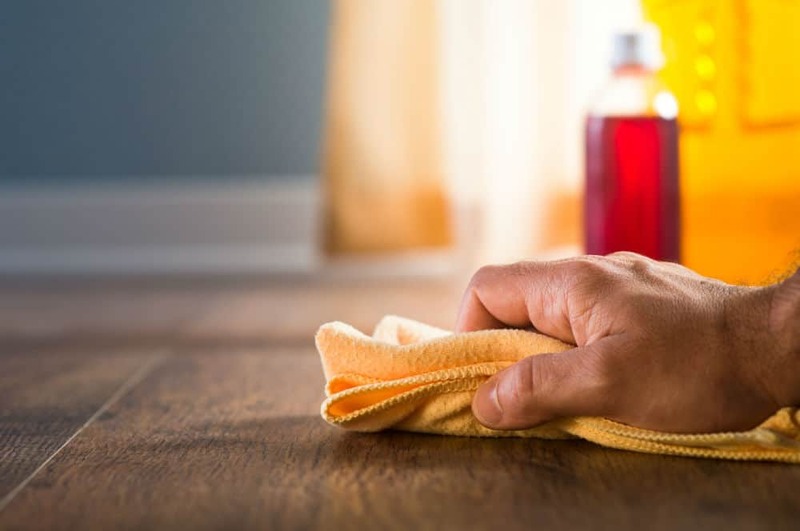 Which One is The Best Wood Floor Wax Remover? To summarize: We have reviewed three different wood floor wax removers. The Trewax remover works on any floor. The Lundmark high power remover works well on wooden floors even though it’s made for other surfaces. The Liberon remover will work on any interior wood surface. It is worth pointing out that some jobs will be too much for either of these wax removers. For those jobs, please consult a professional. In the end, it would cost you the same, but you would have peace of mind. Let’s get back to our review. 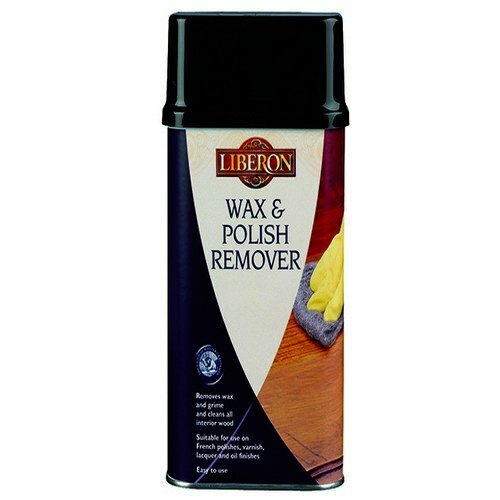 The Liberon wax remover is designed for wood treatment exclusively and performs well. But, the Trewax heavy-duty wax remover is economical, easy to use, user-friendly (less odor) and efficient. This makes the Trewax instant wax remover the best wood floor wax remover that you can purchase now.